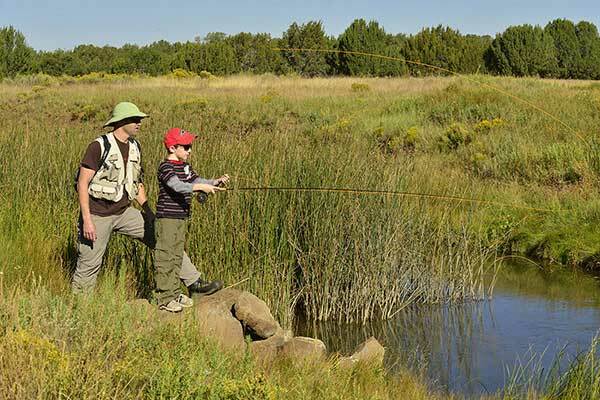 Top trout options this time of the year tend to be stocked streams in the high country as water temperatures in lakes can become too hot for a consistent bite. Some other water temperature readings from this week included: Dogtown Reservoir (74 degrees); City Reservoir (72); Ashurst Lake (72); Silver Creek (65); Fool Hollow Lake (78); and Show Low Lake (76). Heading into a new moon, night fishing with submersible lights once again will be a good option for striped bass and crappie fishing. With erratic, monsoon storms, bass feeding periods and locations could change frequently from day to day. Be sure to cover a lot of water and change presentations often. Water temperatures at desert impoundments such as Bartlett and Roosevelt lakes are hitting 90 degrees during afternoons. For lethargic summertime fish, use light tackle and be patient when setting the hook due to a high possibility of sluggish bites. Some anglers are saying largemouth bass fishing is picking up again at Saguaro Lake. Bass hot spots in the central region remain Roosevelt Lake and Bartlett Lake with some good morning top-water action continuing at Lake Pleasant. Sounds like catfishing action is going strong on the Colorado River waters such as Lake Mohave (see the Catch of the Week below). By Sunday, we’re scheduled to have stocked rainbow trout into Tonto Creek, Haigler Creek, Canyon Creek, Show Low Creek, Dogtown Reservoir, City Reservoir, Ashurst Lake, Oak Creek, and Rose Canyon Lake and Apache trout into Silver Creek, West Fork-Little Colorado River in Greer, East and West Forks of the Black River. See the stocking schedules.